From your favorite TV and Internet Packages to cutting-edge DVR technology, DISH gives you the best deals on entertainment. Take advantage of our current Dish Network specials. There has never been a better time to switch to DISH. While there are still some substantial differences between cable and satellite internet services, the differences between cable and satellite television services are not as pronounced. Both cable and satellite offer a multitude of channel packages that include as many channels as you could want. However, cable companies still tend to have the most expensive contracts overall. DISH Network offers comparable channel packages at cheaper prices, particularly if you bundle your television services with internet and phone as well. Decide what kind of channel package you want before you begin actively shopping, then take the time to find the best deal. DISH Network has several holiday sales a year that often include time-sensitive price drops. DISH Network offers four tiers of channel bundles, that all include a two-year price lock guarantee! America’s Top 120–Includes channel favorites like ESPN and local channels! America’s Top 120+–Includes everything that is in America’s Top 120 package, plus regional sports, the NFL Network and more. In total this package gives subscribers access to over 190 channels! America’s Top 200–Includes everything that is in America’s Top 120+ package, plus additional sports channels and other popular channels like A&E and Disney XD. In total this package gives subscribers access to over 240 channels. America’s Top 250–Includes everything that is in America’s Top 200 package, plus 17 movie channels and more! This is DISH Network’s most comprehensive offering. Are you a sports fan? DISH has the perfect add-on special just for you. The Multi-Sport Pack features more than 35 of the best sports channels on television, including NFL RedZone, MLB Network, Fox Sports 1 and much more. This DISH exclusive can be added to any regular TV package for one low monthly price. For the best dish deals call 1-888-291-7119 now and find out how much you can save, or order DISH Network online today. The Hopper 3 DVR is reason enough on its own to switch over to DISH Network. The Hopper 3 is undeniably the most powerful DVR on the market. The Hopper 3 boasts up to 500 hours of recorded high-definition content storage and has the potential to record up to 16 different shows at once in 4k. With the addition of Joey receivers, you can bring the power of the Hopper into several different rooms in your home. 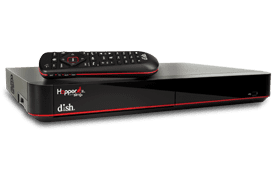 Several of DISH Network’s bundle offers include a free Hopper 3! With DISH Anywhere and the HopperGo you can enjoy any of your DVR content, wherever you may be. Yet another reason to seriously consider bundling your services. You don’t always want to watch your favorite show in the living room. People are on the go more now than ever before, and DISH is ready to travel with them. The HopperGo is a pocket DVR that can fit in the palm of your hand. It does not require an internet connection to use, can connect to five devices at once and doesn’t use mobile data! Now you can take your Hopper content with you wherever you go, and stream it whenever you want. No internet dependency doesn’t just mean that you are saving data, it also makes buffering a problem of the past! Untether your life with the HopperGo from DISH Network. The debate between satellite and cable internet services has become more nuanced as technology continues to advance. Satellite internet in 2017 is not what it was ten, or even five, years ago. Now, satellite internet can offer speeds comparable to those offered by high-speed cable services; with plans to offer even faster service options as the next generation of satellites go into orbit. As of now, cable still offers the fastest connection if you live in an area of service. Satellite, on the other hand, offers comparable speeds and is available anywhere in the continental US; as long as your personal satellite dish has a clear shot of the sky. While cable is fast, we believe that if you look at the technology, price, location and speed of service, it becomes clear that satellite internet services, like those offered by DISH Network, are the best choice for most people in the United States. While a wired connection, like cable will always be a little faster than a wireless connection. Cable download speeds tend to range from 20-100+ Mbps, with upload speeds of 1.5-5 Mbps. Conversely, satellite internet services are slower on average with download speeds ranging from 5-25 Mbps and upload speeds of 1-2 Mpbs. It is important to note that while cable can be faster, it is also not available in many rural areas. Satellite internet services are available pretty much anywhere in the United States where a home satellite dish can get a clear shot of the sky. The trick to understanding the price differences between cable and satellite lies in understanding the differences in the way each kind of technology works. Cable is usually offered by a local television provider and utilizes physical cables in the ground that connect to a modem you have in a customer’s home. Satellite, as the name suggests, operates by sending data to and from satellites in space. An internet connection on Earth sends a signal to a satellite in orbit which then relays the data back to a personal satellite dish which all customers must have installed on their home. The difference essentially comes down to location, if a potential customer lives in an area where cable is not available then satellite internet is a great option. If you they happen to live in a more urban area, it could be worth looking into a wired connection. However, a wired connection does not necessarily mean cable. DISH Network also offers wired DSL internet connections, with comparable speeds to cable, for those customers who want something a little faster. In that instance, it would behoove a customer to shop around and find the right bundle that is best for them. Location is one of the most important factors to consider when you are deciding between cable and satellite services. While cable currently has the highest speeds available on their top tier packages, cable also has a much more limited service area. Potential customers who live in a more rural area might not even have the option of cable. While many cable companies tout that they are willing to expand their service area if the customer is willing to pay for the new wiring, this often costs thousands of dollars. Satellite internet works anywhere in the continental United States! All you need to do is make sure your personal satellite dish is mounted somewhere with a clear shot to the sky. If you live in a rural part of the country, satellite is likely going to be the best choice for you. Qualifying new DISH customers can choose between great specials and promotions to get the best deal on DISH Network TV and Internet. The case for bundling services was much more difficult to make before internet connectivity became ubiquitous in modern society. Quite simply, if you are looking to purchase television services, always bundle them with your internet services. The only time when it makes sense not to bundle your services is if you are not interested in television content. In 2017, an internet connection is almost mandatory. Companies, like DISH Network, offer huge savings on the total cost of services if you bundle both internet and television together. Take the time to research the bundles that are available to you and pay special attention to holiday pricing! DISH Network in particular tends to have time sensitive deals for potential new customers. The bottom line is this: if you are purchasing any kind of television service, bundle it with your internet. If you want to add a phone line, bundle that too. You will save money every time. Get 3 months of premium entertainment such as: Showtime and the DISH Movie Pack free for 3 months with a qualifying 2-year contract. Premium channels have some of television’s most popular shows, including Showtime’s Homeland; as well as movies, documentaries, exclusive stand-up comedy specials, and more. DISH Network offers phone and internet services that can easily be bundled together with television services. If you decide that you do need a landline, always try to bundle it with your internet service. 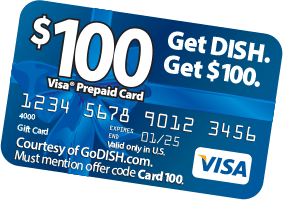 You’ll always save money, and with DISH you know you’re getting high quality service! The best part about bundles with DISH Network is that almost all of them include two-year price guarantees. Did you know that DISH Network has worked closely with Amazon to integrate Alexa voice technology with their television services? If you have an Amazon Alexa and are a DISH Network subscriber, you can tell Alexa what show you want to watch, or record, and Alexa will take care of the rest! DISH Network has completed integrated Amazon’s voice control with their Hopper 3 technology, making for a state-of-the-art home entertainment experience. These services will work with any of Amazon’s echo devices. DISH Network has an award-winning customer service team that provides a variety of in-home solutions to create an amazing home-entertainment experience. Whether you need a TV safely mounted on a wall, a new WiFi router setup or a new surround sound system installed, DISH is ready to help! They have a team of professionally trained and certified technicians who will come out to your home and help you with all your installation needs. DISH even has a smartphone repair service that will send a technician to your home to help replace a broken screen if you need it. DISH Network is committed to their customers and has the customer service reputation to prove it.